Home community-based care (HCBC) promotes good health and the prevention of ill health while providing rehabilitative care. It can also empower a community to take care of its health through education and training. recover from illnesses and hospitalisation. HCBC services allow you to recover in familiar surroundings with loved ones. 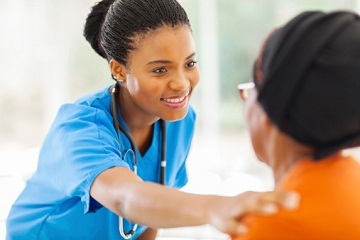 If you need HCBC, a nurse will visit you at home to assess your immediate health care needs and direct how your care plan and appropriate interventions and treatments must be delivered by Community Care Workers (CCWs). Your needs will also be reviewed regularly. CCWs are responsible for developing stable personal relationships with your household, which builds understanding, empathy and trust. If you need this service, your healthcare worker can help you adjust at home by considering personal factors such as your coping abilities, lifestyle issues, behaviour patterns and habits. Please note: CCWs do not provide around-the-clock, ongoing care. 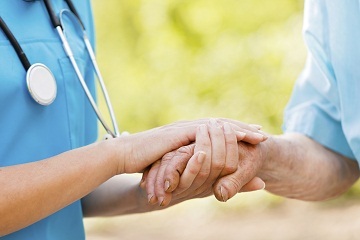 If you’ve been hospitalised, you may need home care after being discharged. CCWs will support you and they’ll assist you by providing care and support for up to 6 weeks. Patients who live with HIV, TB, diabetes, hypertension, asthma and mental illnesses can also be assisted with their prescribed medication intake. CCWs have an important role to play in educating communities and interacting with households on a regular basis. Although this service hasn’t been implemented in all areas, you can contact a public health facility near you for assistance. All hidden costs incurred by the NPO partners are not adequately subsidised and in order to prevent a dependency syndrome, a small freewill contribution could be made to the NPO partner to reimburse transport costs incurred by their volunteers.